The cornerstone of most democracies is a free and uncensored press. Allowed to report the news as is and without filters it is the only way, in theory, to keep a government in check. However, we do not live in a perfect world and newspapers are a business and run for profit, not to mention the fact that profit is an increasing concern in an age where online media is far outstripping traditional print. Unfortunately, this can lead to unsavoury situations where, in a rush to be first to a story, things are often reported unfiltered and unchecked. You may have heard the term “fake news” quite a lot recently. It is becoming increasingly common to hear people under fire from the media unleash on the press. As such, it is becoming harder to know where the truth lies and whom to trust. This quandary is deepened by the fact that those who own these media companies also have their own political leanings, and will often push that agenda. In the end, the growing concern is that correct or not, news has a lasting impact on the public, heavily influencing people and their decisions. 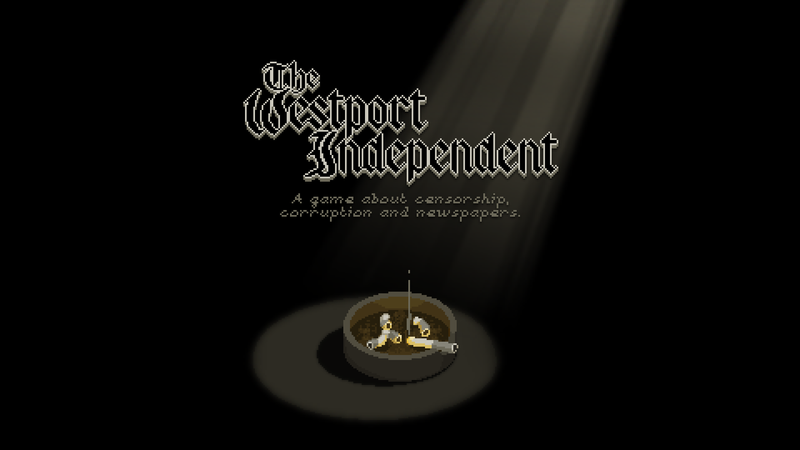 The Westport Independent casts you as the newspaper’s Editor, and with this great power comes great responsibility. Do you choose to tow the line and print loyalist propaganda or slip in rebel backing news, exposing the government’s lies and hypocrisy? Your political leanings will no doubt impact on how you play things. 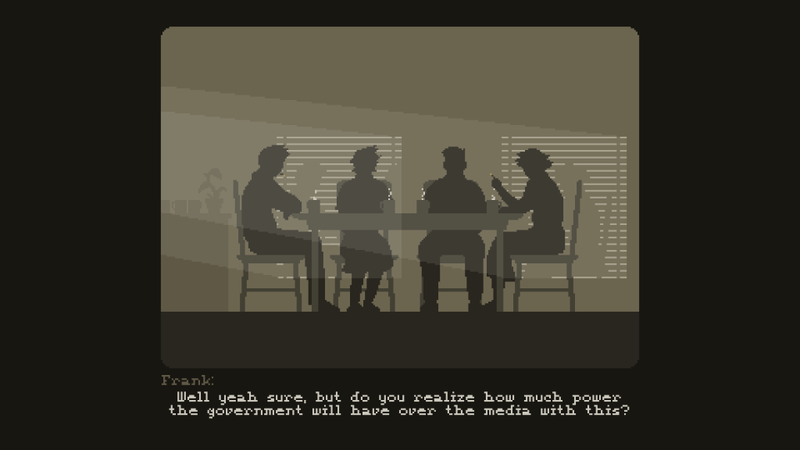 Personally, in my first play-through, I was ultra-loyalist almost to the point of being a public mouthpiece for the government. In this instance I was trying to immitate an example of state-owned media such as that in China. While I did not have the government telling me what to write, I knew that anything that painted them in a bad light put me in their crosshairs. I was legitimately concerned and wanted only to keep me and my staff employed, and the Westport Independent paper running. Truth took a back seat because I wanted to protect myself. It was an interesting moral response and against, perhaps, what I would like to think I would do in real life. We often like to paint a picture of what we would ideally do in any given situation. In the case of an oppressive government many of us, I think, would hope we would stand up for what is right; rally and protest. However, that is not always the case, and self-preservation is a powerful instinct. I was, albeit virtually, going against everything I hold dear as a previous student of politics. My desire to keep myself employed and in good health overrode my sense of civic duty and to hold this virtual government to account. In short, I buckled. I censored anti-government articles to the point of discarding them altogether. 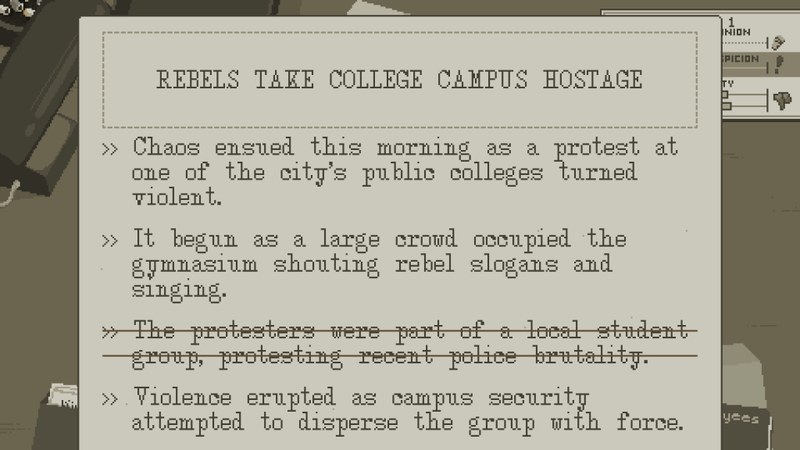 Instead, I pushed fluffy entertainment news and reports of how the rebels were evil and worth cracking down on. I peddled the ruling loyalists’ draconian laws as a saviour of liberty and as protecting the way of life in Westport, all the while knowing they were anything but. Obviously, The Westport Independent is a basic imitation as far as real life news is concerned. It is not quite a parody, but it certainly exaggerates certain aspects to make its point. With the advent of social media and the internet, the news is a 24/7 business, and anyone with a voice has a platform. While fake news or propaganda is nothing new, it is very much in the public’s consciousness thanks at least in part due to the current President of the United States frequently using the term. What this may be doing is, perhaps, making the public more distrustful to the point of doing the fact checking on their own, as opposed to relying on any particular media outlet. It may be rather hopeful, but the more you are told to distrust something the more likely your approach to something will change. Perhaps in a roundabout way games like The Westport Independent are the way forward, a way to show the young and old alike that there is always more than one side to a story. The more you realise that those at the head of a news organisation often have their own agenda, the more you can start to spot potential biases. Many news agencies here in Australia and abroad use taglines such as “the news you can trust” as if to say that what the rest report lies or part-truths. It is shocking that such a thing as honesty is a commodity in a vocation where which a reporter’s integrity should be their most valuable asset. It is even more glaring when, in a virtual setting, I was happy to flitter away my own integrity because I cared about those who worked for me and the newspaper they worked for. While the government lording over the Westport Independent did not own it, the threat from afar felt very real, and it made me wonder and feel empathetic towards those who do work in such conditions. It invoked memories of the movie Good Morning Vietnam where Robin Williams’ character Adrian Cronauer escapes a bombing, but the news report of this is censored. He decides to broadcast it despite this and is suspended because of it. Others, in different situations, are not given such a gentle reprieve. The outcome of The Westport Independent is entirely based upon the news you decide to report, who you get to write it, and how often you try to strongarm your staff into reporting what you want them to. As mentioned I was surprised at how, in a virtual world devoid of actual consequence, I felt bound to look after myself and cast aside my morals to do so. It made me reflect on this playthrough and examine why I did what I did. It is this mechanic of consequentialism that I am hoping to explore over a series of articles, looking at how some of the best games, both indie and AAA, use consequences and morality to pull you into their games and make you care about their characters. I believe that not only do realistic consequences make for the best storytelling, but they help you explore your beliefs, your morals and even challenge some of your preconceptions of society as a whole. Invoking a real, emotional response in interactive media is not easy, and it is a testament to modern gaming and narrative development that so many titles can achieve this. Escapism is at the heart of gaming; whether it is becoming a world class soccer player or a space explorer, many of us play games to be someone else or to be ourselves in a scenario we can only dream of living out. By projecting ourselves onto the characters we control, we can unknowingly bring forward the best and the worst of ourselves. In this series, I hope to shed light on some of the more interesting examples of morality in gaming and by playing them explore myself, my own morals and hopefully, even challenge them. A lover of consequence Peter rather enjoys games that hold you accountable for what you've done. Working in tech support by day he also enjoys playing and watching sport as well as being a father of two, rather excitable, little girls.